JOLIET - Will County Republicans are joining forces to regain a veto-proof majority on the county board, and a key element of that victory will be electing 13th District's Tim Kraulidis (pictured left) in November. At a fundraiser for Kraulidis Tuesday night, Will County Board Chairman Jim Moustis (pictured right) lined out what's at stake. "We haven't raised property taxes in two years and we have a $54 million surplus right now," Moustis told Illinois Review. "If we're able to regain a three-fifths majority in November, we'll be able to continue to protect Will County taxpayers." Over the past few elections, Democrats have been slowly gaining power in historically Republican-dominated Will County. That's something those attending Kraulidis' fundraiser hope to reverse. At the top of the Republican county candidate slate is Cory Singer, who is challenging incumbent Will County Executive Larry Walsh. Chuck Lyons who is running for coroner, Mark Batinick running for auditor and Moustis, running for re-election, were all out to support Kraulidis' bid Tuesday night, as was Circuit Court Clerk candidate Marlene Carlson. Kraulidis was credited by Sharon Cemeno Hicks for getting her started in politics, she told the crowd. "We were so upset with what was going on nationally, and tired of yelling at the tv, so we talked to Tim and got involved," she said. 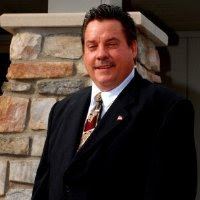 Hicks is also running for Will County Board in November. The fundraiser was held at her family's business, which has been located prominently on Joliet's Essington Road since 1976. "I'm running against Democrats with high name recognition, but we're working hard. The people we've talked to in the district are looking for a change," she said. Auditor candidate Mark Batinick told Illinois Review past voting records show that the Joliet area is much more Republican than Democrats acknowledge. "There are areas that many think are highly Democratic where Bill Brady won in 2010 and John McCain won in 2008," Batinick said. Batinick said the 2011 redistricting divided Will County into three different Chicago Democrat-dominated congressional districts. "We were represented in the 11th CD by Adam Kinzinger, and now we're divided between Jesse Jackson Jr, Bobby Rush and Dan Lipinski, and Will County Democrats stood by and did nothing. Their loyalty to Democrats outweighed their loyalty to the people of Will County," he said. 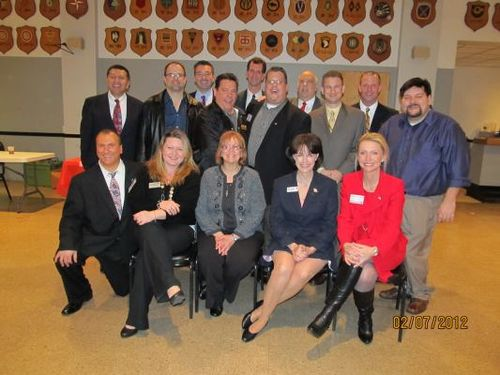 In the coming weeks, the Will County Republican slate of candidates intends to strengthen forces by defining bolder contrasts to their Will County Democrat counterparts. The idea that Cook County and Chicago Democrats are making decisions for Will County doesn't set well with those at the Kraulidis fundraiser. "We're fighting to get our country back, and that starts locally," Kraulidis told the crowd at Cemeno's. "It's not enough to just complain, you've got to get involved to make a difference." Three years ago we saw a threat to our country and we came together because we believe that for our country to thrive we must have smaller government, lower taxes, and maintain the free market system. So we united behind our beliefs and our love of country and the tea party movement was born. Over the past three years we have educated ourselves about the constitution, politics and campaigns. We worked hard during the 2012 primary and we voted with our hearts for the candidates we felt best represented our values. Now that the primary is over and we know who our nominees are for the November election. It is time for us to come together in Solidarity for the good of our Country, State, and local offices. Tea Partiers, Republicans, and Conservatives alike must now join forces in Unity for the November election to pursue the greater good of smaller more responsible government at all levels. Novembers elections are some of the most historical our nation has faced. They will determine if we as a people want more freedoms, more prosperity, and more opportunity or less freedom, less prosperity, and less opportunity. We will be honoring 4 recipients with the “Tea Cup” award for their involvement in promoting and pursuing responsible government. The proceeds for this event help promote pursuing government accountability. 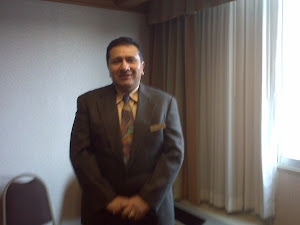 Packed house for Joliet Conservative Candidate Convention last night was a powerful example of how the Graasroots activism is alive and well and most of all motivated to win elections this March," said Tim Kraulidis, candidate for Will County Board and JTP leader. 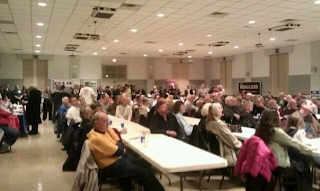 With over 20 Will County Conservative Candidates, a packed venue with over 450 in attendance, the people were ready to hear from the candidates and start working for their campaigns. “All night we kept hearing positive comments about the exceptional line-up of conservative candidates and the enthusiasm filled the place” said Kraulidis. 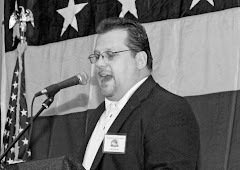 WLS morning host Dan Proft emceed the program which included interviews that showcased the candidates and their races. This was another Conservative event that has been happening in Will County over the past lthree years. June 8th. Click logo for details.